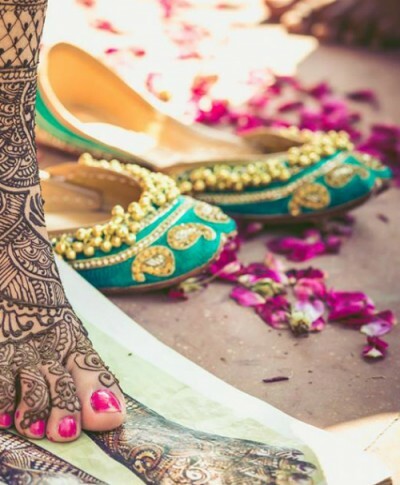 5 Amazing Ideas To Make Your Mehendi Memories The BEST! Mehendi ceremonies are our absolute favourites. There are no rules and no long poojas. It’s colourful, fun and vibrant and people are basically chilling! Plus, it’s the one chance YOU get to chill with your besties! And it’s that one ceremony that lets you experiment. From clothes to jewellery to decor to food, here are the must dos for a hatke mehendi ceremony. Ditch the floral jewellery for a bit of quirk. We love the hand embroidered headgear by Fooljhadi spotted on a real bride. They also do a lot of mirror work accessories in fun, vibrant colors. Just what you need for the mehendi! Price: On request. Buy it here. Thank god for juttis! Our feet can finally rest! We’ve forever wished for a fashion brand dedicated to chic and stylish juttis that stand out. And Needledust does just that! AND, we pinky promise, you won’t have ugly shoe bites. Price: Rs 3,200. Buy it here. We don’t need to tell you how the good ol’ mason jar is back in every way possible. 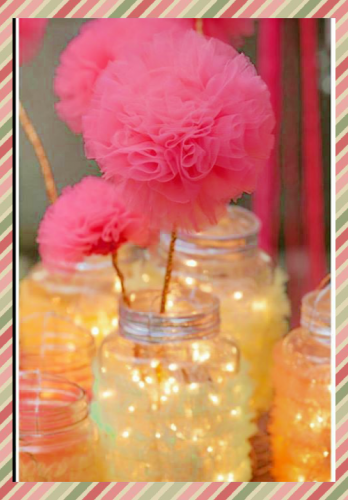 Have these super cute candyfloss flowers in colourful mason jars as your table centerpiece. Check out Rani Pink for more deets. Price: On request. Buy it here. Yellow and bright and everything nice! It just looks like it was designed keeping mehendi in mind! Plus, it’s something that’s totally wearable later too. See more options by Abhinav Mishra Designs. 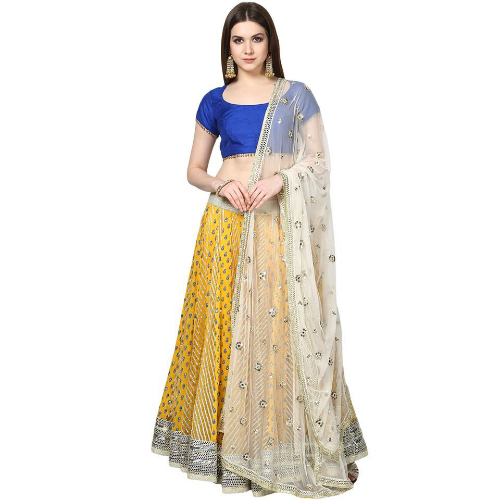 Price: Rs 32,000. Buy it here. 5. Yumminess at it’s best! You’ve got to keep the theme alive in your food too! 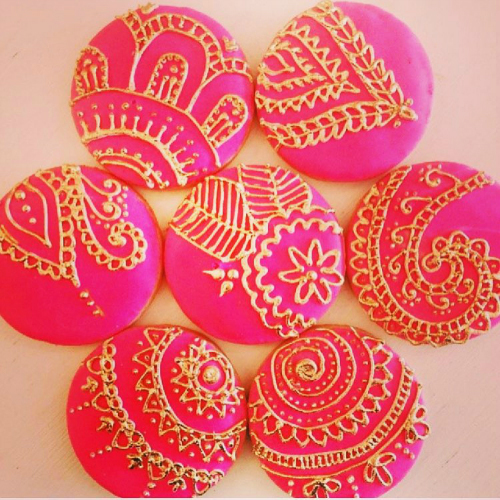 Serve up in style with these mehendi inspired cookies. You can get them in all possible colours and designs and leave your guests talking! 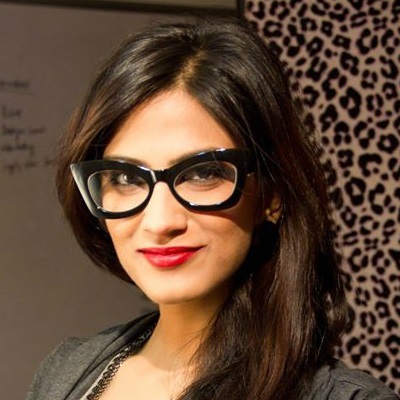 Check out Made@Home for more more yumminess. Price: On request. Buy it here. 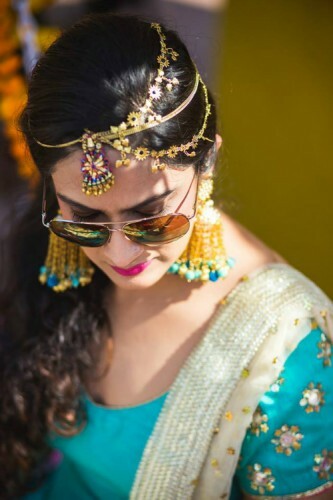 MUST-READ: #ShaadiStyle: 6 Bollywood Hairstyles To Rock Every Wedding! MUST-READ: 8 Secrets To Getting The BEST Wedding Album Ever!